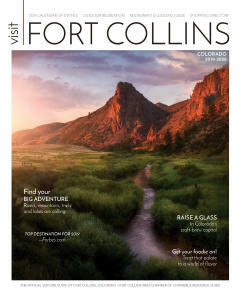 Situated at the foothills of the Rocky Mountains, 60 miles north of Denver International airport, Fort Collins is home to fabulous recreational opportunities, diverse cultural attractions, a vibrant nightlife scene and family fun. Experience world-class whitewater rafting on the nationally designated “Wild and Scenic” Cache La Poudre River (the best whitewater rafting near Rocky Mountain National Park). Taste award-winning beers at one of 20 (and counting) local breweries. Or, explore the fanciful creatures at the Swetsville Zoo with your family. Fort Collins prides itself on the plethora of restaurants and outdoor activities, a picturesque downtown and of course, our beer. 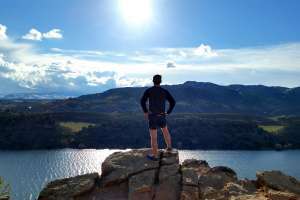 Fort Collins is always full of things to do, no matter the season. Explore the links above to find what you need, or take a look at our suggestions for things to see and do! Fort Collins: Colorado’s Craft Beer Capital! From the King of Beers to Fat Tire, Fort Collins is home to 20 award-winning craft breweries and one of the best-known large breweries in the world, Anheuser-Busch. 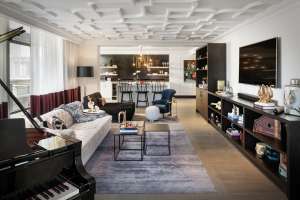 Whether you are here for the day or the week, you will find just the thing to wet your whistle. 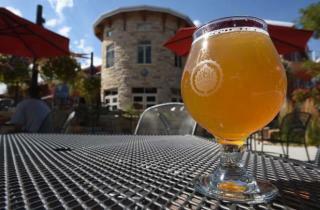 Fort Collins produces 70 percent of Colorado’s craft beer and seven percent of the United States. Visit Anheuser-Busch to learn how Budweiser is made, see the Clydesdales, and dive into the history of one of the longest running brewing companies in the country. Odell Brewing Company was the first craft brewery established in Fort Collins and is going strong today with award-winners like 90 Shilling Ale and 5 Barrel Pale Ale. Visit their tasting room for some great beers, including a few experimental brews, and while you’re there pick up a t-shirt or two for your friends back home. If you’re in the mood for some classic American food with your beer, head over to CB & Potts or CooperSmith’s Pub & Brewing for delicious homemade dishes and even better beers. CooperSmith’s even makes their own root beer! Lastly, “Follow your folly” over to New Belgium Brewing Company, makers of regional favorite Fat Tire Amber Ale, and experience one of the most unique breweries in the industry. Known as much for their commitment to the environment as their great beers, New Belgium has won awards for both! One step into their tasting room and you will know that fun is the name of the game; if you’re lucky, you might get to take a ride on the twisty slide at the end of your tour. Equinox Brewing will give you the opportunity to not only taste the beer, but also take the recipe home to make your own. Equinox sits adjacent to Hops & Berries, a Fort Collins home brew store. Find everything you need to create your own specialty brew! If you can’t decide which brewery to visit, try following our Foam on the Range Tour to get a taste of them all. Remember always to designate a driver and drink responsibly! Old Town is full of shops and galleries featuring the work of local artists, craftsmen and photographers. Stroll around and meet them during a First Friday Art Walk (check the calendar for information). For the widest array of classical music and dance options, your vacation to Fort Collins should be planned between September and May. That’s when Canyon Concert Ballet, the Fort Collins Symphony Orchestra, and the CSU Department of Music, Theatre and Dance all present their seasons. 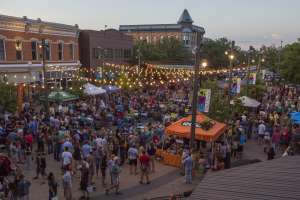 Other choral and instrumental groups perform year-round, and summer brings a variety of performers out to street festivals, under the stars or over the lunch hour. All the world’s a stage – at least it seems like it in Fort Collins. A little light musical? A meal with your entertainment? Cutting-edge drama with nationally known visiting artists? Or an original drama performed by talented members of the community? The curtain goes up on it all, at venues ranging from Bas Bleu Theatre, located in a reclaimed historic machine shop by the river, to the Lincoln Center, Fort Collins’ premier arts venue. On any given Friday night, the center could be hosting a touring Broadway show, an original drama by a local playwright, two or three exhibits by local artists, and a fundraising event for a local non-profit. 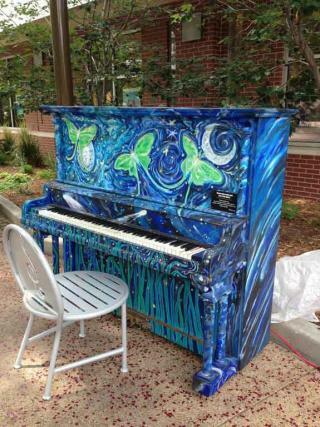 So you see, Fort Collins is the place to be when you want to add arts & culture to your vacation experience. Check it out today! For a more extensive list of awards the city of Fort Collins has earned over the years please click HERE.